Fabrics, as we see, can be classified into four types according to the fabric structure which are woven Fabric, non-woven fabric, knit fabric and braid. 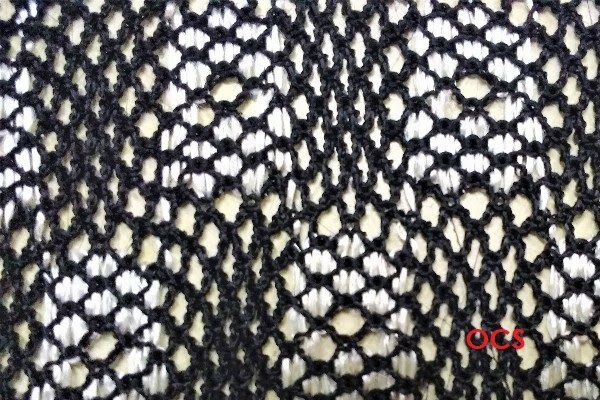 In this article, we will get to know about various types of knitted fabrics that we come across in our day-to-day life. Knitting, unlike weaving, is a process of yarn manipulation by intermeshing the loops of yarns to create textile or fabric. Knitted fabric consists of several consecutive rows of intermeshed loops, which are joined together by consecutive loops pulled through one or more loop from the prior row. 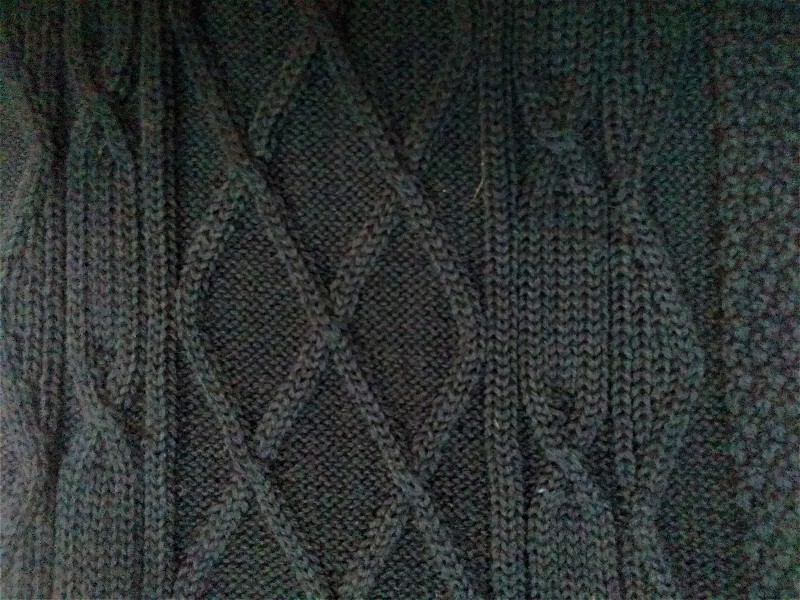 The horizontal rows of loops in the fabric are called course and the vertical row of loops are called wales. Weft knitting is a method of fabric formation in which the loops are made in a horizontal way from a single yarn and each consecutive rows of loop build upon the prior loops consecutively. The intermeshing of loops can take place both in a circular or flat form on a course-wise basis. The fabric formed is very elastic, comfortable and warm to wear. Properties can be varied depending on the types of yarn used. The curls along the course and wales direction are due to the fabric structure and the knit density. Warp knitting is a method of fabric formation in which the loops are made in a vertical way along the length of the fabric from each warp yarns. Thus, there will be a needle for each yarn. 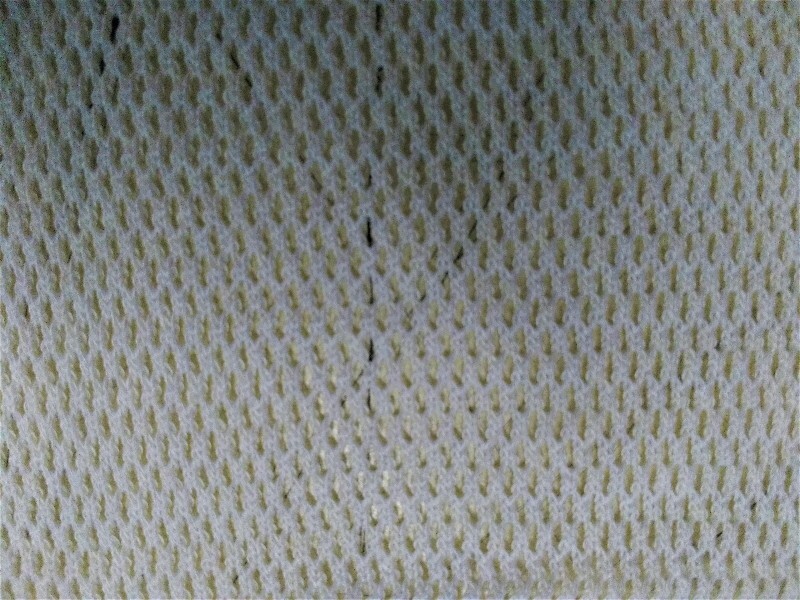 The knitted stitches in warp knit fabrics have a crisscross diagonal appearance which feels smoother than weft knits. It shows less elasticity than weft knitting. It becomes favourable over weft in properties like soft and drapey, higher density, warm to wear. Through this process many different types of yarn can be processed like combed, staple, carded and filament which is not possible with weft knitting. 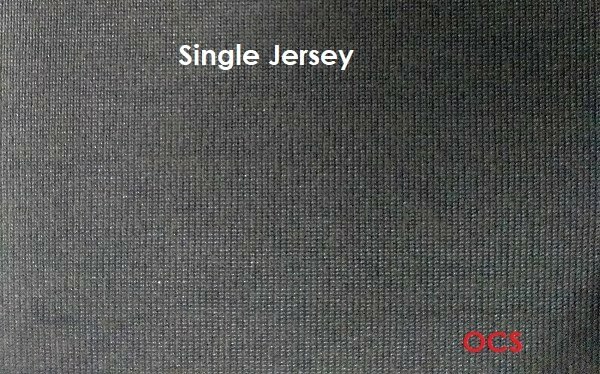 Single jersey is the simplest and most economical weft structure to produce. It has a good stretch in both wales and course direction with a potential recovery of 40% in width after stretching. It can be recognized by the V-shaped looped appearance on the technical face side and semi-circular loop on the technical back side. It has poor dimensional stability with a problem of both shrinkage and growth and is widely used for T-shirts, casual tops, hosiery etc. 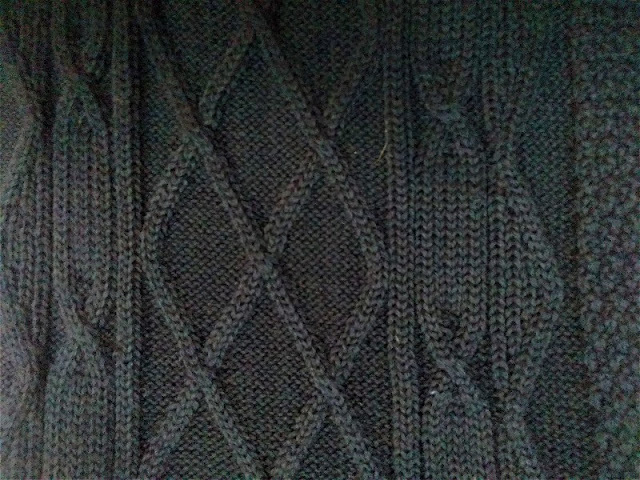 The rib is made by alternating wales of knit and purl stitch and is knitted with two sets of needles. It has a vertical cord appearance making it twice as thick than plain knit with greater dimensional stability. They can be made both in a flat and circular knitting machine. It is mostly used in hemming and neckline of sweaters. 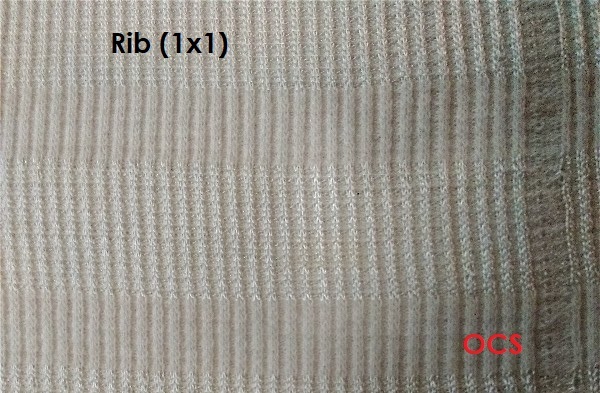 some of the other variations of rib knit are Cable fabric, Bird’s eye, Cardigans, Milano ribs. The purl knit structure has the face and reverses loops knitted in an alternative course which can only be achieved with double-ended latch needle. The thickness of the fabric is double than that of the single jersey. It is stretchy with a definite right and wrong side. It is not often used on as it can unravel easily. It is most often used in knitwear, underwear, hosiery etc. 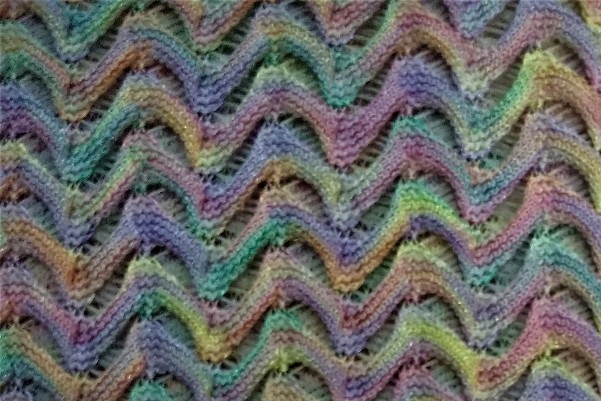 Interlock knit is a type of double-layered knitted structure produced by alternating knit and purl stitch in both wales and course direction on a knitting machine equipped with two sets of needles. the fabric resembles that of jersey knit on both front and back. It has better dimensional stability than single jersey and all types of knitting and does not curl up on edges. It stretches more along the lengthwise direction than in breadthwise. Due to its structure, it provides better insulation as it is able to trap air between its layers. It is most often used in a sweatshirt, table mat etc. 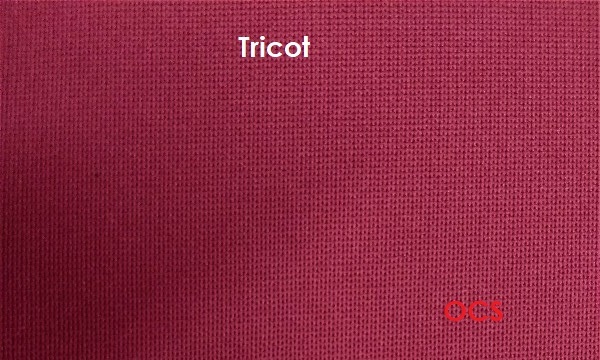 Tricot knit is made using a single set of beard needles and filament yarns. The multifilament yarn face stitches are perpendicular to the back stitch providing a smooth surface with dense stitch. It provides good air/water permeability, softness, crease resistance, drape due to its structure. It is mostly used in lingerie, nightwear, dresses etc. Raschel knit is made using a single set of latch needle and spun yarns. Knits can be lacy, highly patterned and even piled. Its properties include a fabric which can be dense or compact, open or lofty, stable or stretchy, single faced or reversible. It can be identified by their intricate designs. The use can be in almost any garment due to high customization of the raschel machine from lightweight lace to heavy chenille. The machines can produce both flat and tubular warp knit fabrics. Milanese knit is made of two sets of yarns knitted diagonally. The face side has fine vertical rib and the reverse has a diagonal structure. It is lightweight, drapey, smooth and is mostly used for gloves. Apart from the above basic types, there is a numerous amount of knitted fabric made with various alterations. The flat or flat or jersey knit can be varied by using different yarns or double-looped stitches of different length to make velour, terry and plush fabrics. 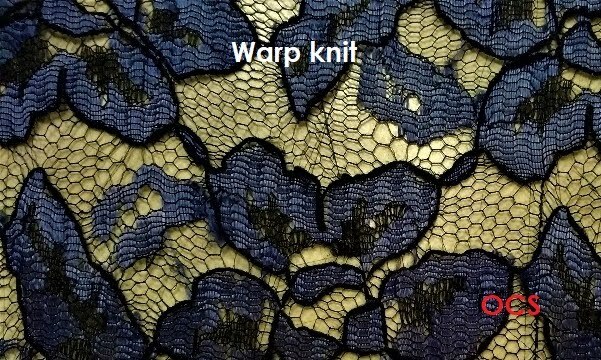 There are also specialised weft knits such as Intarsia, Fleece, Jacquard Jerseys, Knitted Velour, Knitted Terry, French Terry. 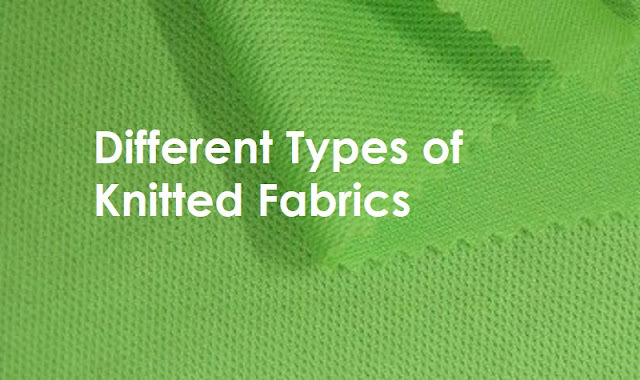 Classification of knitted fabrics. Different types of knits and common fabric names.